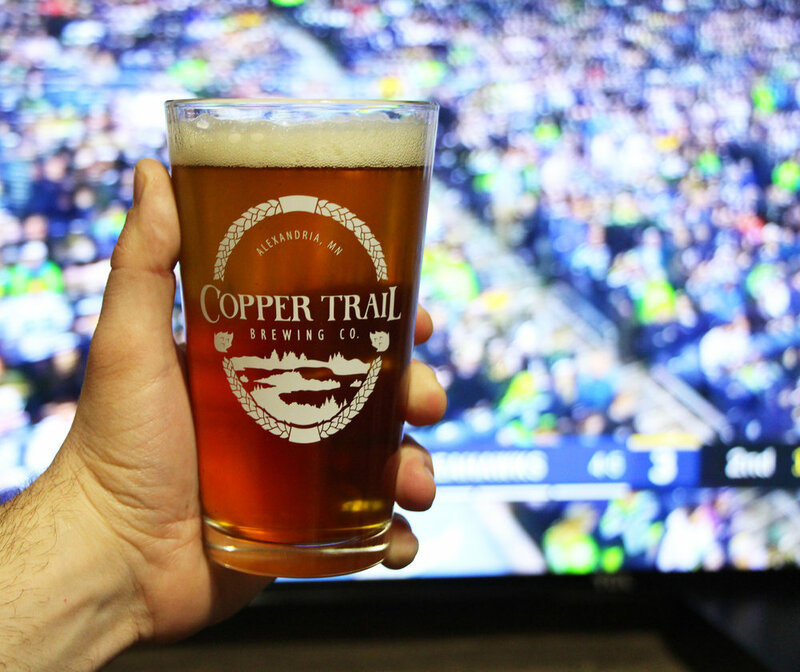 The Great Trailsgiving — Copper Trail Brewing Co.
Why have regular old Thanksgiving when you can spice things up by having a Copper Trail Thanksgiving? Here are our top 5 ways to use Copper Trail throughout your Thanksgiving, but know…there are so many more ways…so let us know how you add Copper Trail into your festivities by tagging us in your holiday pics on Facebook and Instagram! On the Turkey: By adding Copper Trail’s Black Betty to your turkey you’re sure to hear “Bam a Lam” echoing throughout the house! This oaked bourbon porter adds a heap of flavor when using in your brine and glaze. Since Thanksgiving is all about the turkey…whether in the oven or on the grill this will surely be the crown jewel at your Thanksgiving dinner. In the Sides: How many of you swear that every Thanksgiving the sides start to multiply? Each family has their own traditions of what “needs” to be on the table. Since we don’t want to start a family feud we chose two sides help get you started in incorporating Copper Trail into the many different sides that is Thanksgiving. We have a stuffing (or dressing depending on where you’re from) made with our Nuttin’ Better brown ale, and a cranberry sauce reduced in our Indigo Wheat blueberry wheat ale. For Dessert: The great debate between Pumpkin and Pecan pies could still not be settled, so we decided to make both! The best part is we added Copper Trail’s Midwest Midnight a milk chocolate stout to both!!! Which in the end made the decision between the two even more difficult. Make one or both we’ll let you be the judge on whether to pumpkin or pecan. Before, During and After Dinner: We at Copper Trail want you to get the most out of each stage of your Thanksgiving dinner! Before: We won’t blame you…if while using Copper Trail in your turkey or pumpkin pie you pour a glass for yourself…you do have to do a “pre-test” to make sure it will taste right. During: As you start to build the mountain of food that will eventually take over your plate…know that a cold Copper Trail will accent your creation. After: What goes better together than beer and football? We say nothing…especially when it’s a Copper Trail! Although a word of warning your friends and family might not EVER want to leave. Be Kind and Share: It is ThankGIVING after all! So, what better way to show your friends and family how much you appreciate them then with a growler or crowlers of Copper Trail. You are guaranteed to be the hit of the Thanksgiving festivities! Thanksgiving is great time of year to think about all the things we have to be grateful for, and perhaps give to those a little less fortunate. In the spirit of Thanksgiving we at Copper Trail are starting our “Purposeful Pints” nights. These events are a chance for not only us at Copper Trail, but our customers as well, to help give back to our local community. If you would like to know more on how to get involved please CLICK HERE for more info. Made with Copper Trail’s Black Betty an oaked bourbon porter. Made with Copper Trail’s Nuttin’ Better a nut brown ale. Made with Copper Trail’s Indigo Wheat a blueberry wheat ale. Made with Copper Trail’s Midwest Midnight a milk chocolate stout.